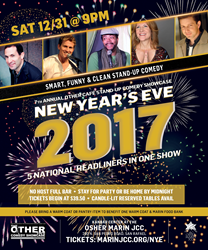 Five headlining comedians will take the stage at Osher Marin JCC making for an easy, fun and funny New Year’s Eve celebration. The Kanbar Center for the Performing Arts at the Osher Marin JCC will host the 7th Annual Other Café Comedy Showcase’s New Year’s Eve Stand-Up Comedy Show in Marin. The annual sellout will bring in the New Year with laughter from five hilariously funny and clean stand-up comedians in one show. This year’s show features comedians Jason Love, Lamont Ferguson, Karen Rontowski and James P. Connolly. Jeff Applebaum will serve as the show’s host. The evening is designed to make this holiday easy, fun and funny. The comedy begins at 9 p.m., allowing attendees plenty of time to dine at their favorite restaurant beforehand, and ends by 11:30 p.m. for those with a midnight rendezvous. The pre-event no-host gathering begins at 7:30 p.m. with a full no-host bar; theater doors open at 8 p.m. The after-party and countdown get underway at 11:30 p.m. and include a midnight toast with a free glass of bubbly. Tickets start as low as $39.50 each with general admission. Reserved and group table seating with candle-lit tables are also available. Show attendees are encouraged to bring lightly-used or new coats, as well as non-perishable, healthy foods to benefit the Marin Food Bank and One Warm Coat. Tickets are available for purchase at http://www.marinjcc.org/NYE. This show is recommended for ages 18 and older. 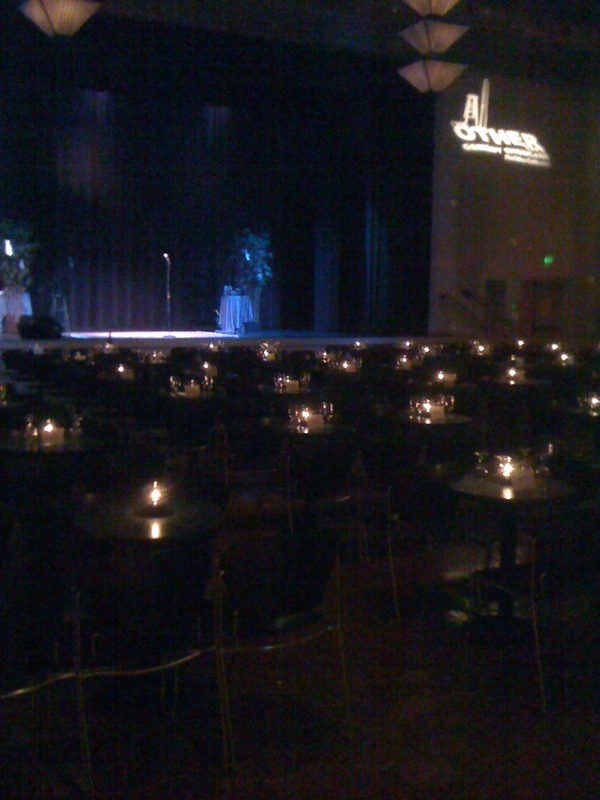 The Kanbar Center has established a strong and well-respected reputation within the community as a Center for the Performing Arts in Marin County. Originally known as CenterStage, this performing arts department within the Osher Marin JCC has been presenting a stunning lineup of world-class performances from emerging and established performers annually since 1990. Venues include the grand Hoytt Theater, the intimate Kurland Lounge, and Swig Field, our outdoor venue nestled near the hills of Marin and home of the celebrated Summer Nights festivals.